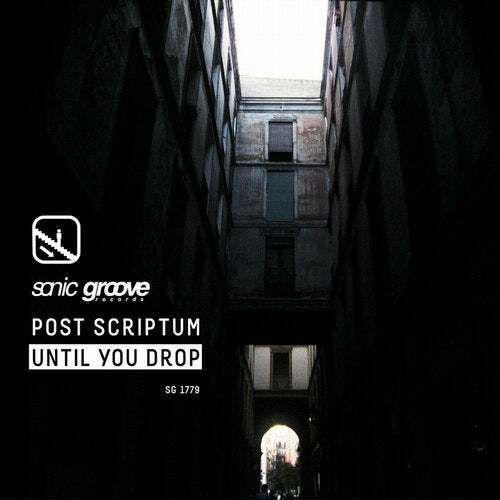 Post Scriptum is the latest artist to join the Sonic Groove Records roster. Previously releasing on Function's legendary Infrastructure imprint, Post Scriptum changes gears stylistically in a very big way with his latest release entitled Until You Drop. Leaving his previous looped based purist Techno behind, Post Scriptum takes his sound exploration into the much darker cavernous world of Industrial Techno. Dropzone and You Won't Find Me (Short Mix/Long Mix) are incredible, modular synthesized workouts that will tear dance floors apart. Despite the current hype of the usage of modular synths, not many are exploring the infinite possibilities of these machines, Post Scriptum is one of the very few who has taken on the challenge to leap into the infinite worlds these systems were designed to create.